Our days of walking barefoot on beaches and sitting on outdoor patios in sandals may have come to a close, but that doesn’t mean our feet have to be forgotten! 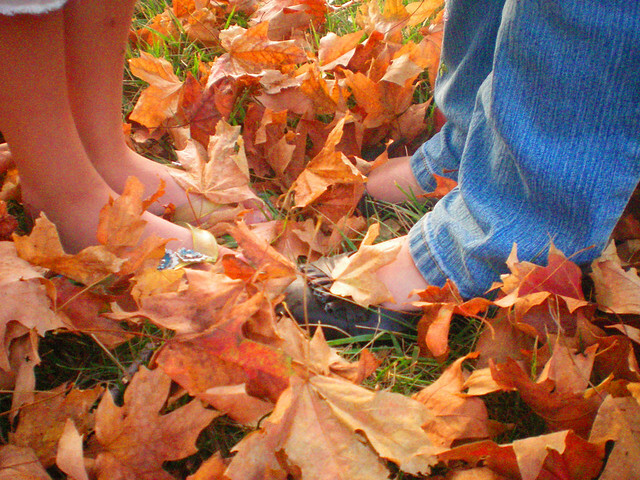 The autumn season brings satisfying scents that soothe the senses and warm the soul. NYC podiatrists at The Center for Podiatric Care and Sports Medicine can take care of all your most difficult foot care needs, including the relief of pain and deformity, but we also have a number of DIY foot pampering suggestions you can try at home. Spoon into a 250 ML mason jar and store in the fridge for up to four days. Simply scrub your feet to remove dull skin, rinse, and apply moisturizer for smooth, happy feet! To make, combine sugars and coconut oil in a standard mixer and beat into a fluffy paste using the paddle attachment. Scrape down the sides, add in vanilla and all spices, and beat on medium speed for about 30 seconds. Seal it in a mason jar and use within a month. Combine with hot water for a gentle skin-exfoliating treatment. Wear shea-infused socks on your feet afterward for added moisturizing benefits. The Center for Podiatric Care and Sports Medicine in NYC covers all your foot care needs, whether you’re an athlete with a foot injury, a diabetic interested in preventative maintenance, kids with developing foot needs, or someone with questions about common foot-related issues like odor, dry skin, toenail fungus and calluses. Contact us to schedule an appointment with one of our board-certified podiatrists in Westchester and Manhattan. » Does Triathlete Paula Findlay Have a Lisfranc Injury?